This big bad book reading just got even better, with the news that Peter Jesperson (the "5th Replacement"; the "Man Without Whom"; etc.) 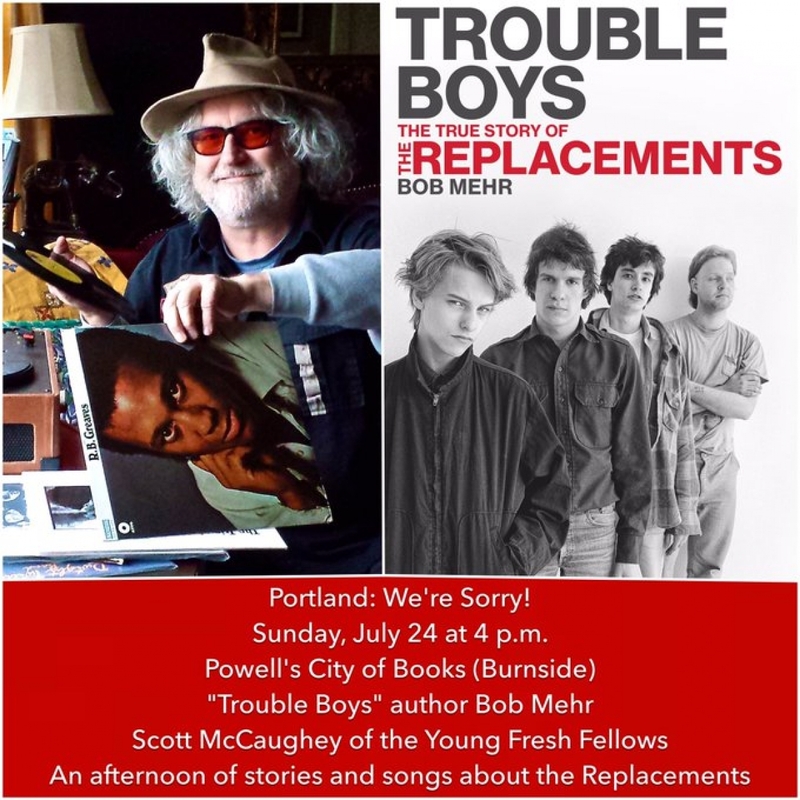 will be joining author Bob Mehr and me as we sit back and discuss THE REPLACEMENTS. If you haven't read Mr. Mehr's superb, authorized but un-sanitized account of the band's trainwreck existence, it's time to come down and pick up a copy. I might sing a couple songs, and it's quite likely that they will be perfect, professional renditions of classic non-contemporary ballads.